Screaming across the sky at 1,100 mph and pulling the nose up into a steep climb — this is not a time a pilot wants to experience thrust issues. Relying on the twin engines of an F-15 or similar aircraft to get you from take-off to landing is something upon which you stake your life. Reduce those two propulsion units to one turbojet like the F-16 and you have no room for error. Repair and overhaul of engines are essential so that power plants will not only be reliable and safe, but also reach their limits and remain cost effective at the same time. Inspections are not limited to engines. Identifying structural problems with the airframes, fractures in the wings, and other aircraft components is important so fighter jets can be ready on a moment’s notice to perform their missions. 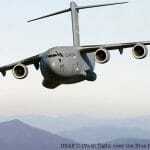 Different levels of scheduled inspections exist for commercial and military aircraft. Basic inspections and maintenance performed by the pilot/crew every flight. Checking the lubricant levels and engine conditions are routine pre-flight checks. However, these routine inspections should not become too routine so that that something is easily overlooked. 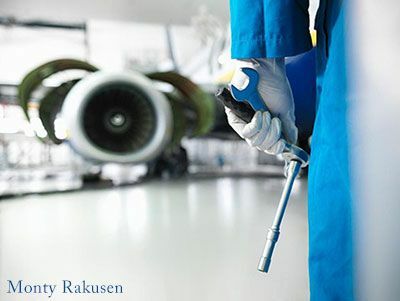 Certain airframe and engine inspections performed at specific points along the service life of a turbine engine. One is an inspection that occurs following an incident. In the commercial aircraft industry, Hot-Section Inspections (HSI), the part of the engine where combustion occurs, get inspected at regular intervals as a form of preventative maintenance. HSI’s are usually conducted at the halfway point of an engine’s Time Before Overhaul (TBO). An engine overhaul is very complex and usually means removal of the engine from the aircraft. Often, TBO’s are set periods based on hours, but an incident can trigger an overhaul. The FAA requires periodic inspections on all commercial and civil aircraft. These checks are required after a certain amount of time or usage. 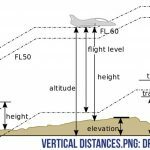 An A Check at 400-600 flight hours (or 200-300 takeoff and landing cycles). The B Check is approximately 6 months. The C Check is performed at 20-24 months and the D Check takes place about every 6 years. 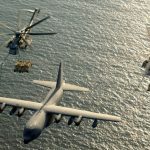 The military has there own specific maintenance/inspection requirements. One example is the inspection cycle of the F-16 Fighting Falcon. After 400 flying hours, all F-16 aircraft go through an extensive inspection to repair and prevent problems. These inspections are called Phase Inspections. Early in the F-16’s service life, this phase inspection was set at every 50 flight hours. Due to the reliability and success of the F-16, today these intervals have been extended to every 400 hours. 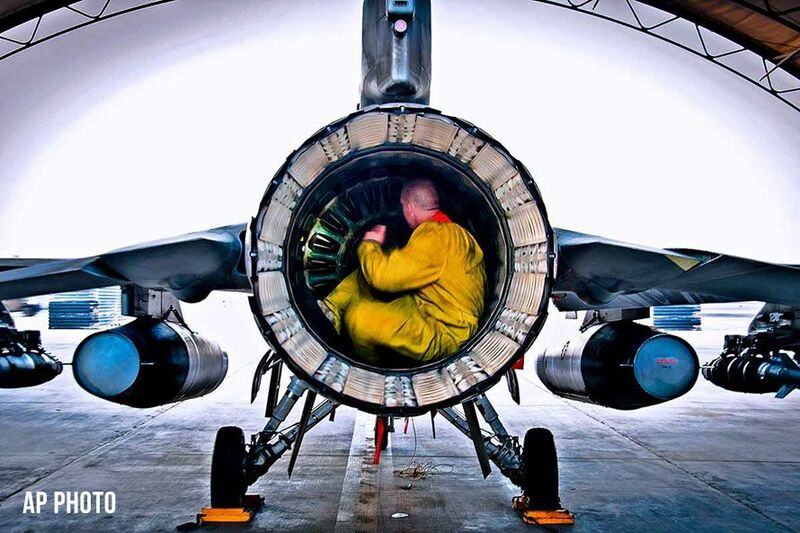 These inspections take the F-16 aircraft through an extensive check up to repair and prevent problems. During a phase inspection, the aircraft will be checked by inspection teams who will move through the aircraft piece by piece, removing panels, and inspecting the entire airframe and engine. The teams will follow-up on previous issues and discrepancies noted by the aircraft’s main shop and crew chief. These teams must work together smoothly and within an allotted amount of time to find worn and damaged parts. Engine tests conducted on the F-16 and other fixed wing are often performed using an Aircraft Engine Test Set like the one pictured here. This test set is primarily designed for making examinations of the performance and/or characteristics of aircraft engines. 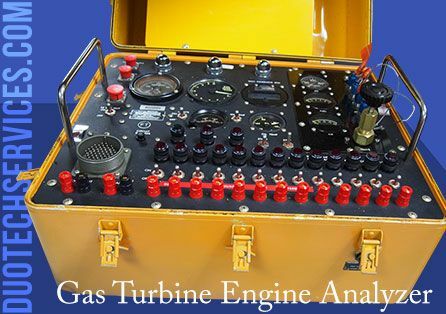 This gas turbine engine analyzer is a portable test set ideal for flight line turbine diagnostics and depot level evaluation of the electrical, hydraulic and pneumatic tests. It provides measurement of turbine unit speeds, temperatures. pressures, output frequencies, and electrical circuit parameters. To analyze the operation of the turbine engine and identify malfunctioning components, this suitcase-shaped Aircraft Engine Test Set contains controls and instrumentation that indicate the F-16’s fuel pressure, oil pressure, air pressure, oil temperature, exhaust temperature, engine speed (tach generator), generator current, and electrical system. In order to troubleshoot various engine components, the test set includes both a portable multimeter and fuel pressure gauge. To connect the test set to the engine, a special purpose electrical branched cable assembly and analyzer hose kit are also provided with the Aircraft Engine Test Set. 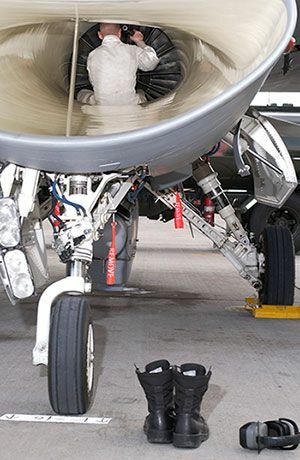 Regularly scheduled aircraft maintenance and inspections are important to extend the life of the aircraft and maintain mission effectiveness. To protect the pilots, crew, and passengers, an extensive aircraft maintenance program is very important to avoid engine failures that can cause accidents. 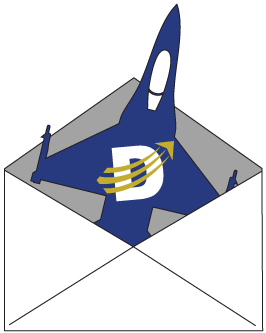 Duotech provides repair services of electronic components for a variety of fixed wing and rotary wing aircraft systems. DSI also supports the electronic MRO testing tools like the Aircraft Engine Test Sets. Duotech maintains an AS9100C registration and is a qualified repair station for thousands of items.